Home > Blog > Vietnam: An Up-and-Coming Clean Energy Leader? Energy development and investment must be reshaped, and business consumers are an untapped opportunity to pull new technologies into the mix. Business involvement will be particularly important, as commercial and industrial companies consume more than 60 percent of Vietnam’s electricity. While companies are interested in sourcing renewable energy, many are finding that national policies for using the grid or selling back extra electricity are not aligned to support these efforts. Industrial electricity prices remain artificially low through subsidies, which makes it difficult for renewables to compete. While companies readily set renewable energy purchasing targets for their operations and their supply chains, many companies do not have the individual energy demand to unlock larger, more cost-effective projects. Collaborating across their sector or with those located in the same area could help, but this type of collaboration is difficult. Despite increased pressure from customers and investors to implement renewable energy quickly, managers often lack the time or knowledge of the market to evaluate the best opportunities for purchasing renewable energy. In short, corporate demand for clean energy in Vietnam exists, but demand alone won’t lead to megawatts being built. Aggregating projects to improve economics while changing the regulatory environment are necessary. 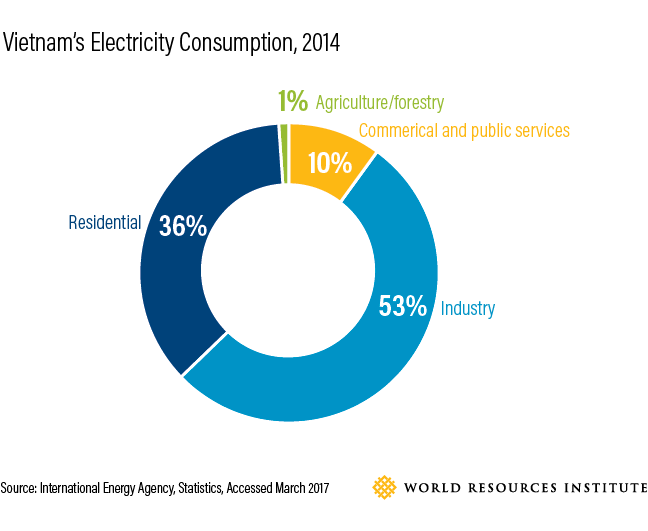 Because electricity consumption in the commercial and industrial sectors is expected to multiply in the coming years, now is a critical moment to support large energy users in shifting to clean energy. Innovative partnerships can help. The Renewable Energy Buyers Alliance (REBA), a coalition of more than 100 large energy buyers helping corporations purchase 60 GW of renewable energy in the United States by 2025, launched a workgroup in Vietnam in December. Co-led by WRI, Allotrope Partners and the U.S. National Renewable Energy Laboratory under the Clean Energy Investment Accelerator (CEIA), the workgroup will collaborate with large commercial and industrial energy consumers to identify ways to lower the cost of deploying and integrating renewable energy. Finalize regulations for power purchase agreements. The Vietnamese government is collaborating with USAID’s Vietnam Low Emission Energy Program (V-LEEP) to develop a “direct power purchase agreement” policy framework. This would allow industrial energy buyers to purchase electricity directly from independent renewable energy producers. Improve transparency of electricity rate forecasting. Electricity prices will have to increase in order for Vietnam’s national utility to finance new energy projects, but the government has not announced a schedule for these price increases. The Vietnam Business Forum has started raising this issue with the government. Better transparency of expected price increases will allow buyers and investors to more accurately value fixed-cost renewable energy contracts, which can offer some price protection. Support supply chain collaboration. This year, the new workgroup will explore a renewable energy product and financing package to help Vietnamese suppliers in the apparel sector gain easier access to financing for renewable energy to meet clean energy mandates. Suppliers currently have difficulty securing financing for renewable energy projects and don’t have sufficient staff capacity to collaborate with peers to reduce costs. Develop a renewable energy model for industrial parks. Given the government’s expectation that industrial areas will continue to grow in Vietnam, these parks are an important place to explore more renewable solutions. The workgroup will research models that allow Vietnam’s industrial parks to aggregate demand from tenants to help scale clean energy. 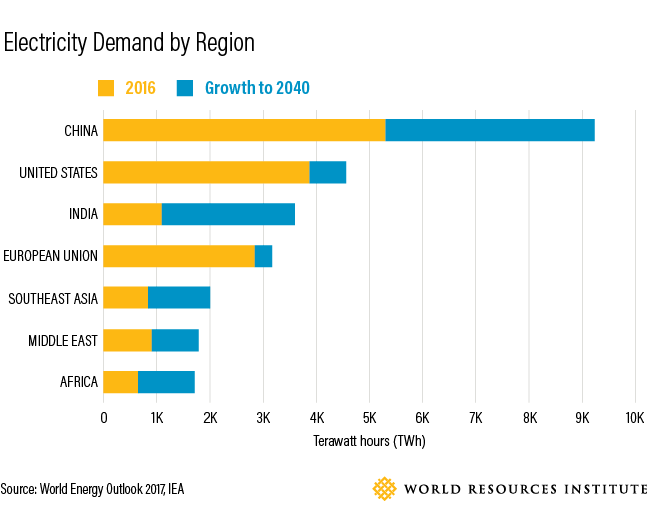 With energy demand growing by two-thirds by 2040 in Southeast Asia, countries throughout the region are wondering how to expand their energy systems in a way that’s sustainable. Vietnam provides an interesting and important combination of conditions that can enable a meaningful transition to clean energy: government commitments to renewables and a private sector eager to meet increasingly stringent clean energy targets. As an up-and-coming clean energy leader, Vietnam has the potential to create solutions that can be replicated across Southeast Asia.